The user interface and design of Android OS have infinitely improved since its first appearance years ago. While the Material Design has been strongly cemented by Google ever since Android 5.0 Lollipop, there are some of us who would love to add even more glamor to the Android notification window. Although there isn’t much you can do to the notification window in terms of design change, root access with the power of the Xposed Installer changes the game completely. 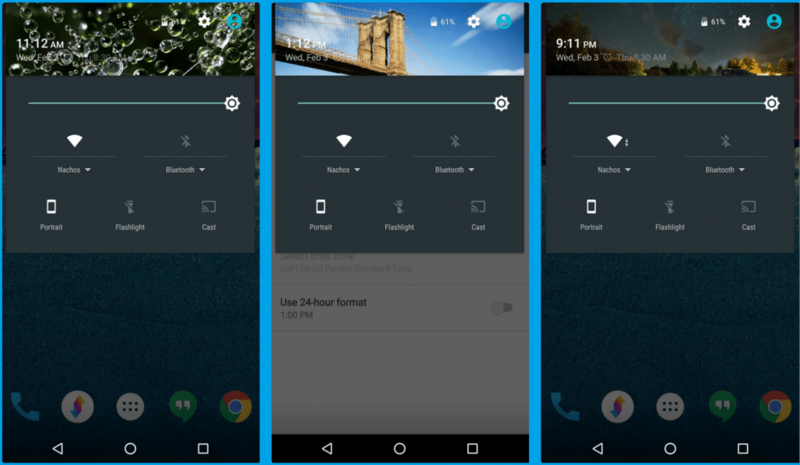 Thanks to an awesome Xposed module, you can easily add scenic backgrounds to Android notification window and enjoy a pleasant sight every time you slide down. Root access enabled on the device running Android 5.0 Lollipop or higher. “Unknown Sources” enabled from the Settings->Security menu. Xposed Framework installed onto the Android device. On your Android device, head over to the Xposed Installer app and navigate to the Download menu. In the search bar, type in “Zeus Contextual Expanded Status Header” and tap on the first result that shows up. You will be able to see all the available versions of the module in the list form, so tap on the “Download” button next to the most recent version. Once the download completes, go ahead and press the “Install” button to get Zeus Contextual Expanded Status Header on your device. 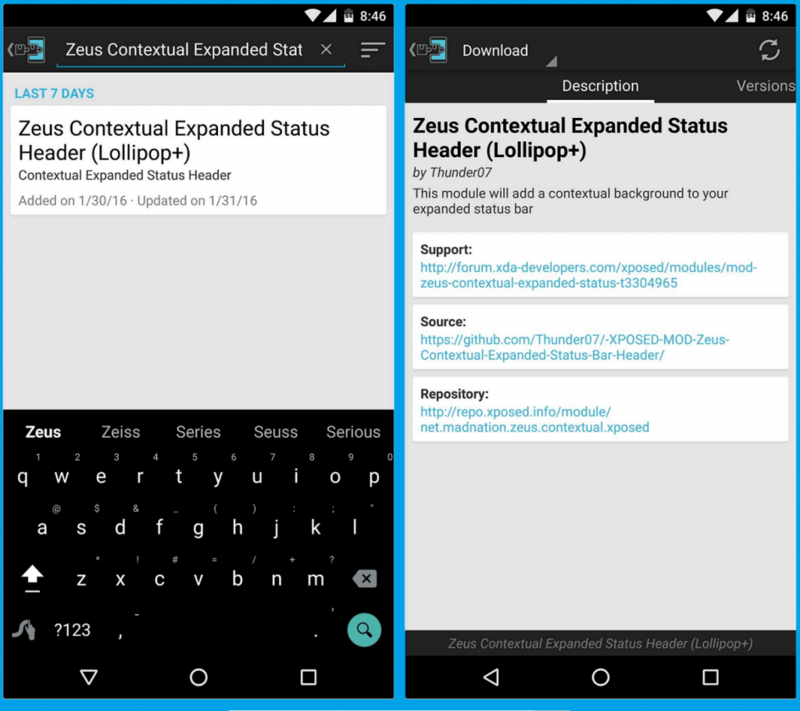 Once you have downloaded the new module, go ahead and restart your device and open the Zeus Contextual Expanded Status Header app. The service will be automatically enabled and you will be able to view scenic backgrounds in the notification window. However, the images will not stay the same, and will automatically change throughout the day. There are different images automatically selected for the morning, afternoon, evening, and night, so you get a refreshing scene every time.